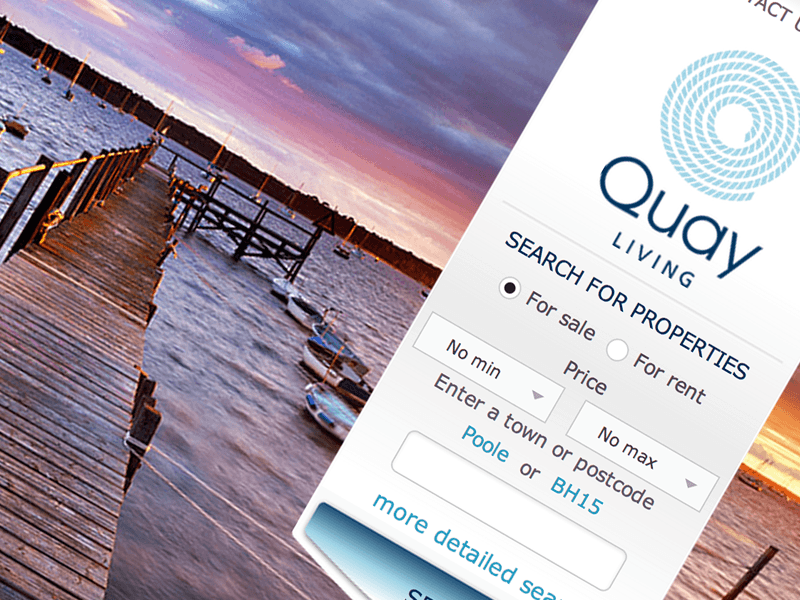 Quay Living established in 2006 and is a family-owned independent estate and letting agent in Poole, Dorset. 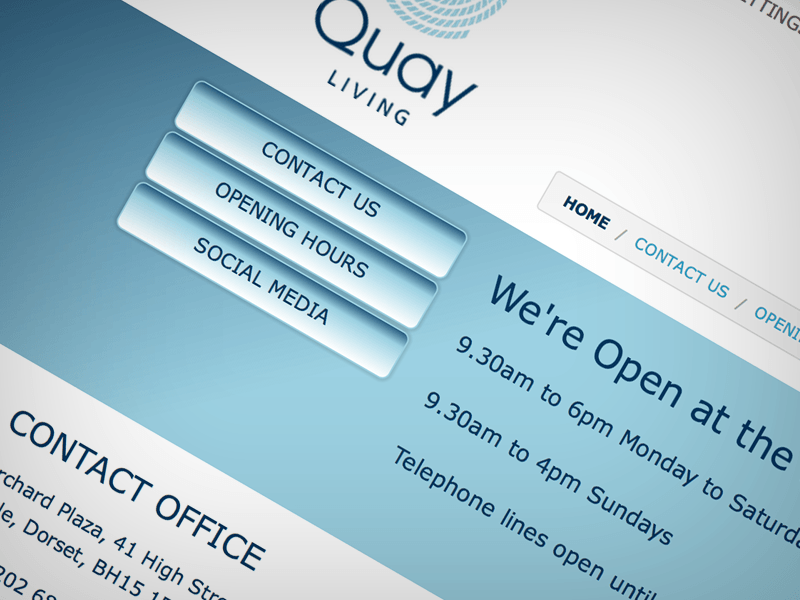 Quay Living came to us to create a website and improve their search engine optimisation in their local area. 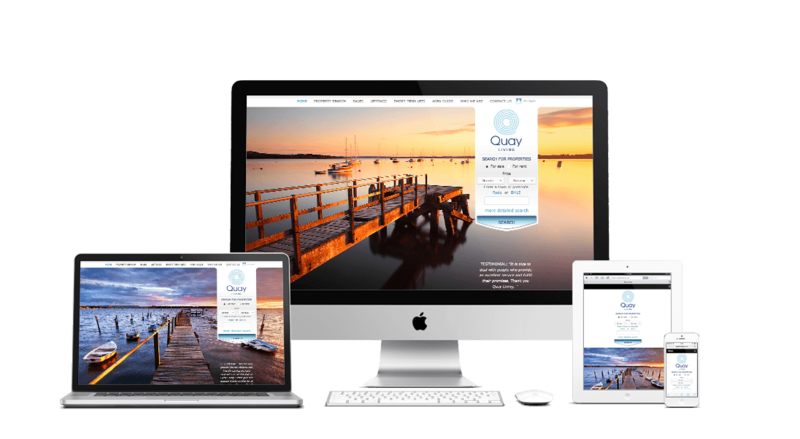 We created a website that reflects their brand and area to give users the feeling of instant brand recognition as well as the impression of a coastal city location. 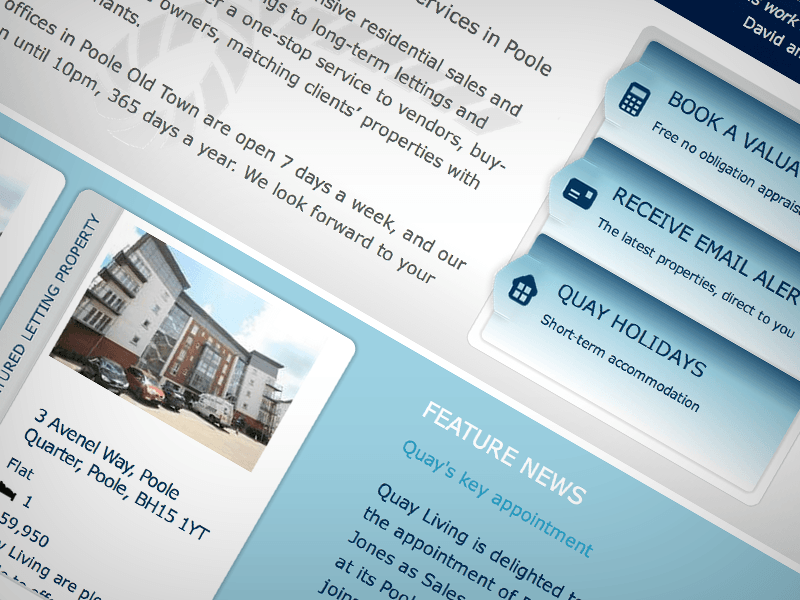 Due to the high quantity of searches taking place via mobile devices to find them, we designed and built a fully responsive website that is accessible to users on any device, including both tablets and smartphones. This means that it is only one website that works effectively across all devices.